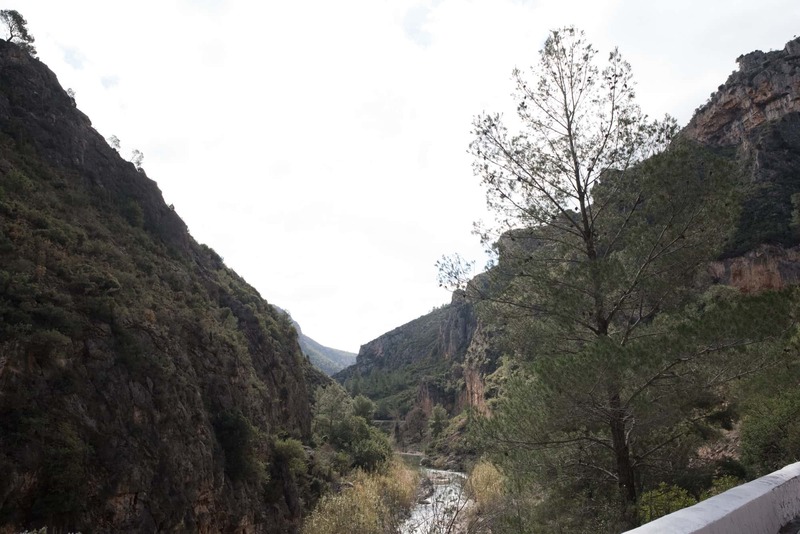 In the middle of Alto Mijares, between Teruel and Castellón, we find this small natural paradise: Montanejos. With just over 600 inhabitants this is the heart of the region's in-land tourism. 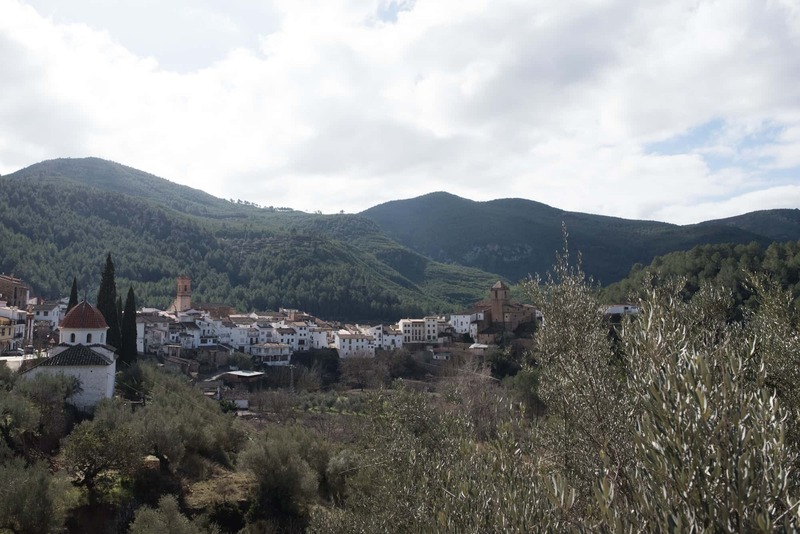 The Muslim population that passed through Montanejos have left a lasting impression on what the town now has: thermal baths in the middle of a natural landscape and a health resort. Among the many natural resources that this town has to offer, we can enjoy walks along the river's footpaths, dips in the natural swimming pools and relaxing moments at its fountains. The Fuente de los Baños fountain, one of Montanejos' top tourist attractions, is a water source which has an almost year-round temperature of 25º, and it is therefore considered to have health benefits. Because of this, the town is known for its thermal baths, which were built in 1997 and use the same water as the Fuente de los Baños. 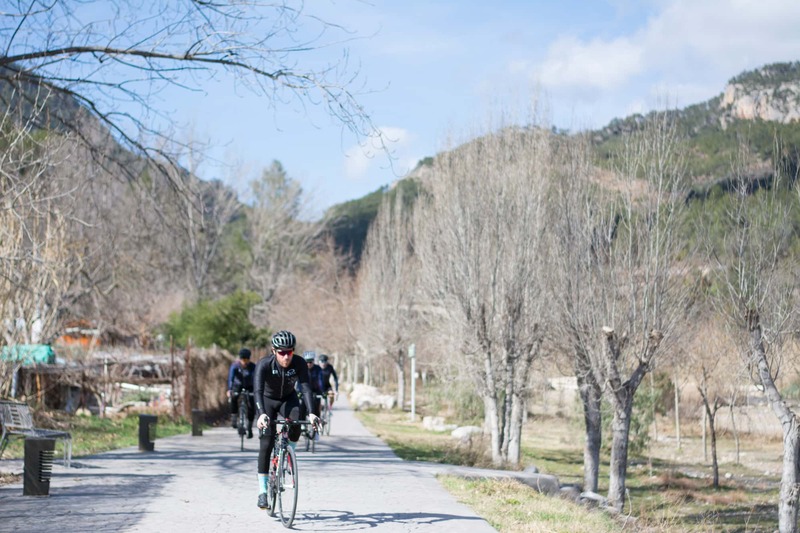 As well as the great deal of thermal treatments for both therapeutic and aesthetic reasons, in Montanejos you will be able to relax and take all the time you need to disconnect. 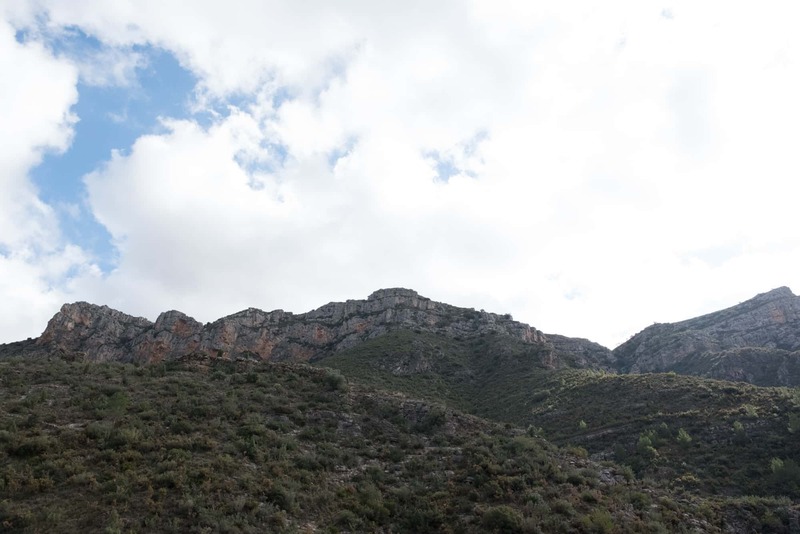 Its geographic location leaves us with natural wonders such as "El Chorro", an outflow of the Arenoso dam, and "La Cueva Negra", a geologically interesting cave found at the beginning of the Sendero de la Bojera path. 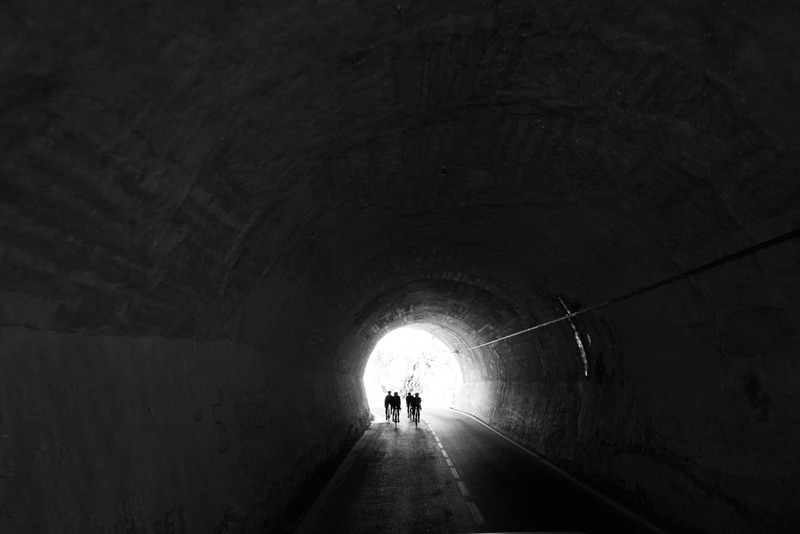 Not only that, but Montanejos also offers us other interesting places and extremely relevant monuments. The Castle, for example, which is located at the top of the mountain and is found nowadays basically in ruins after the important role it has played throughout history. You should not miss out on a visit to the church either. This was built at the end of the 18th century in a style known as academicism, characterised by its classicism and balance. If you wish to visit the town during August, when it celebrates its local festivities, accommodation may be expensive or even fully booked. 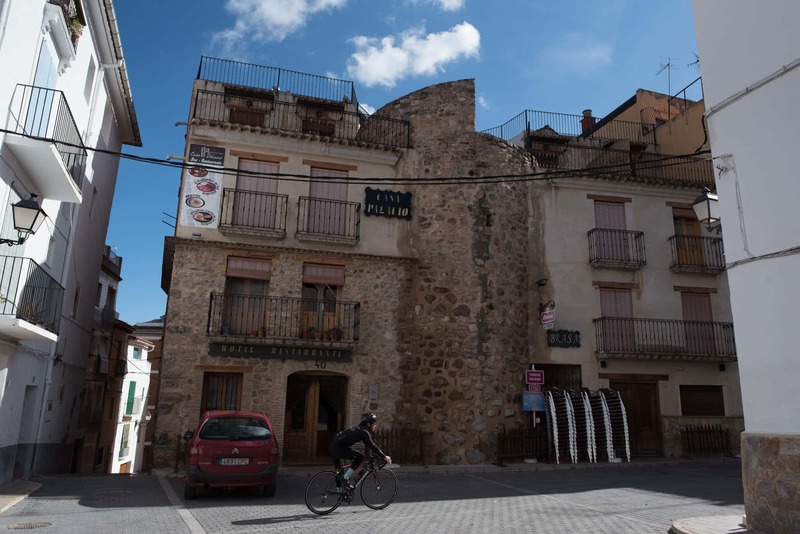 But we will give you a few recommendations on where to stay: Hotel Rosaleda del Mijares (Carretera de Tales, 28), this is more expensive than the average hotel, but it does have a spa which offers various treatments. If you are looking for a more affordable and simple place to put your head down, at an average of €50 a night, you could stay at the Hostal Casa Ovidio (Avenida Elvira Peiró,41). You can also eat here. If you want a simple hotel which has excellent facilities, you could book the Hotel La Valenciana (Calle San Jaime, 20). Typical food from Montanejos, includes oatmeal, a casserole dish called "olla casera", and a dessert called "torrijas" which is similar to French toast and is served with honey. These home-made dishes and tapas can be enjoyed for an affordable price at the Los Luises restaurant (Calle San Antonio, 14). We also recommend the Restaurante Pizzería Mijares (Plaza España) which has reasonably priced home-made dishes. If you are looking for a more varied menu, we suggest the Restaurante Pizzeria el Refugio (Avenida Fuente de Baños 39) on the outskirts of Montanejos. Fuente de los Baños: a water source of great tourist interest. Its water stays at 25º all year long and is considered to have various health benefits. - La Cueva Negra: a cave at the beginning of the Sendero de la Bojera path. This is a geologically interesting cave whose various excavations conclude that it was lived in during the Neolithic period. 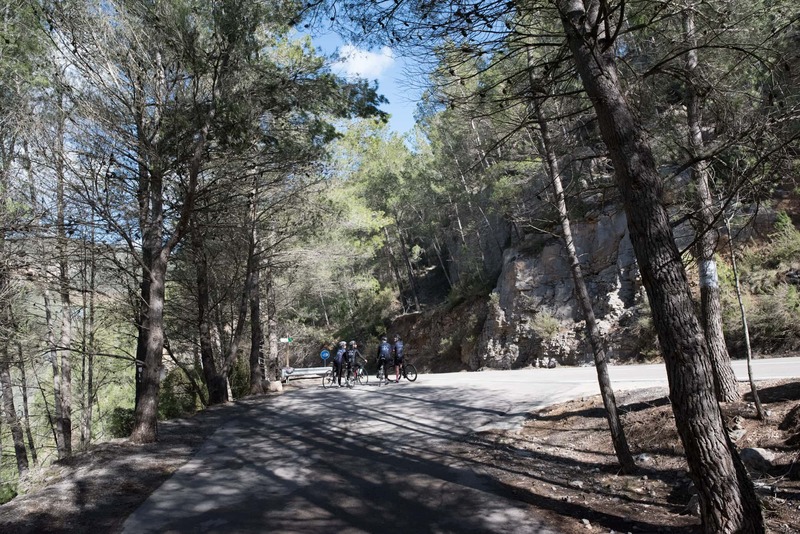 - Montanejos Castle: the ruins of this castle are found at the top of the mountain. - Montanejos Church: built at the end of the 18th century in an academicist style. If you have outgrown beginner routes and are ready to tackle something more difficult, Montanejos is for you. 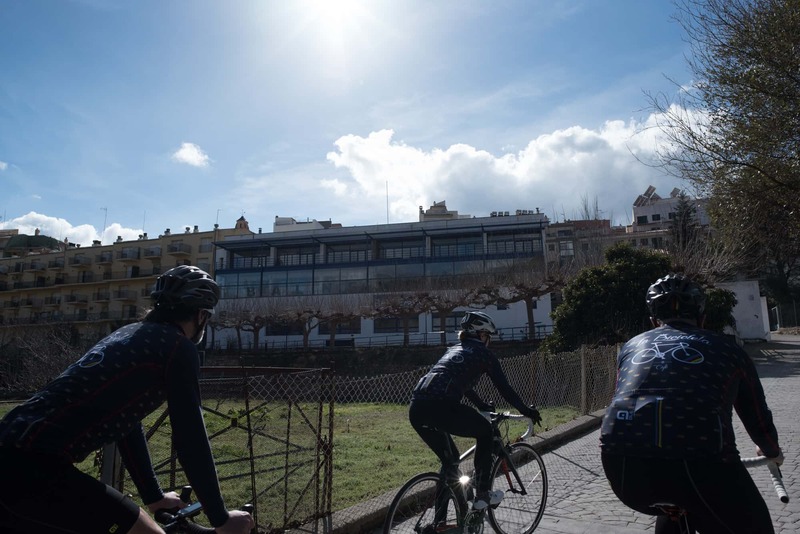 It starts and ends in the town and covers almost 85 Km along mountain roads at the foot of the Peñagolosa mountain. The start of this route is tough, as it starts with an incline that stretches 21 km. 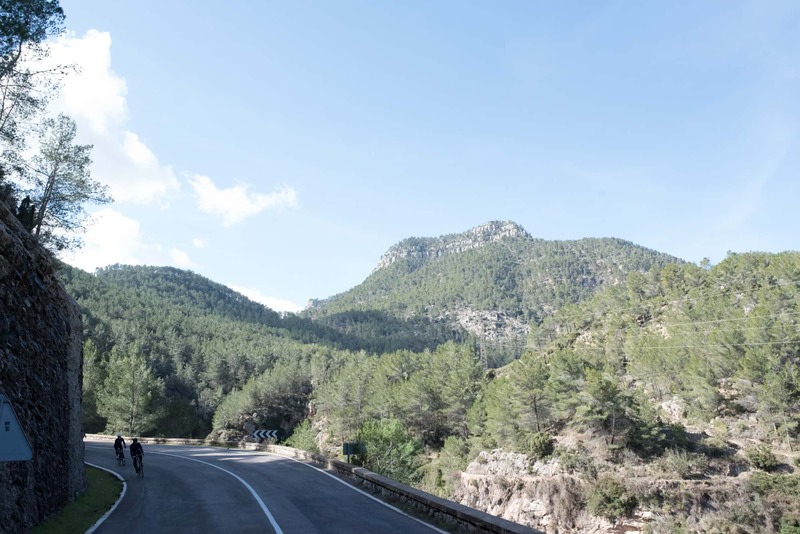 Not long after leaving Montanejos on the CV 195, you will have to face the most difficult part of the route: an incline with a gradient of up to 14.8%. 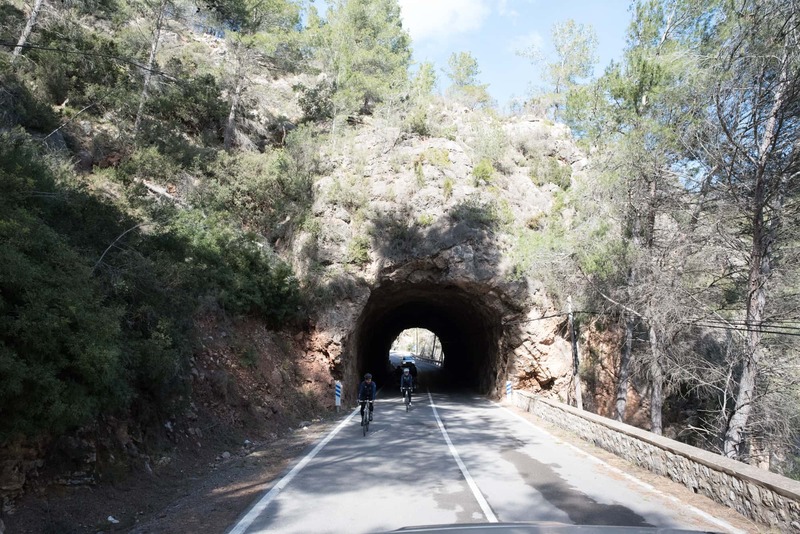 Once you have gone past San Vicente on the CV196, you will be able to give your legs a break when passing through Llano de la Cañada. From here, practically 16 downhill kilometres lay in front of you. Along the way, you will pass through Villahermosa del Río, where you will be able to enjoy the surrounding nature and the river which runs alongside the road. 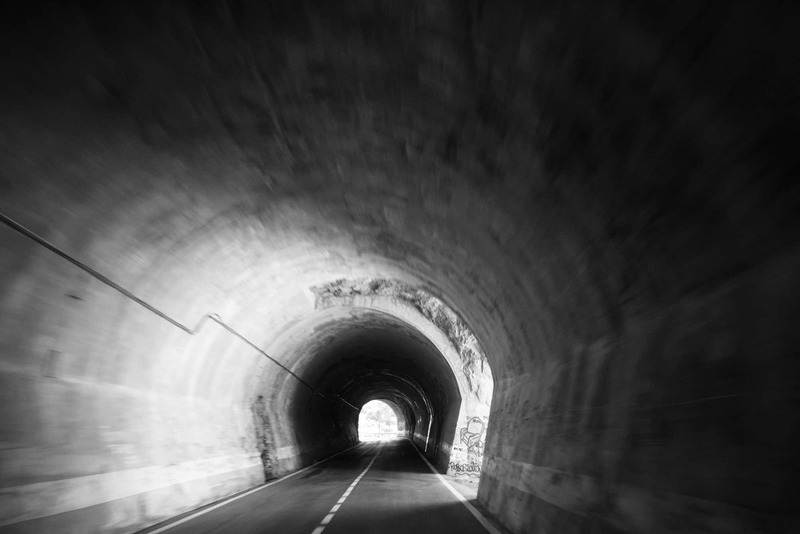 After Los Corrales (Km 35), the road becomes more winding and meandering, so pay attention to where you are going. 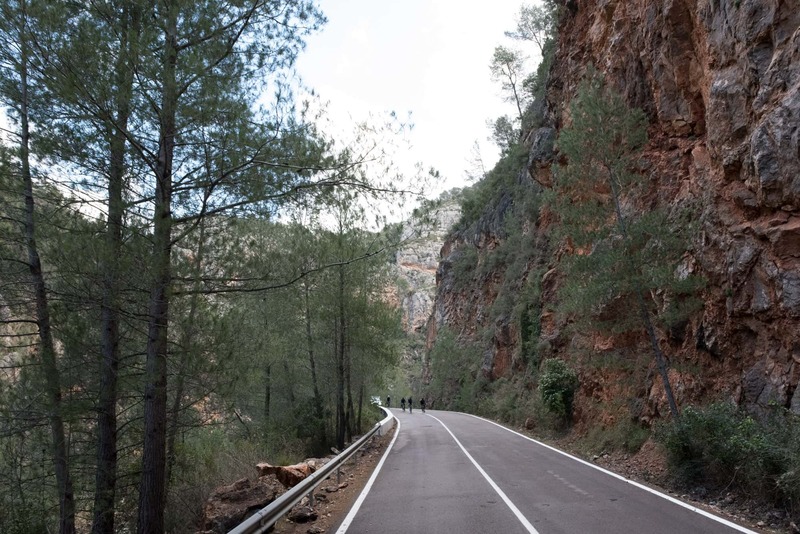 Just before getting to Castillo de Villamalefa, there is another uphill section up to the second mountain pass, although this is much less steep than the first one so should not cause you any problems. 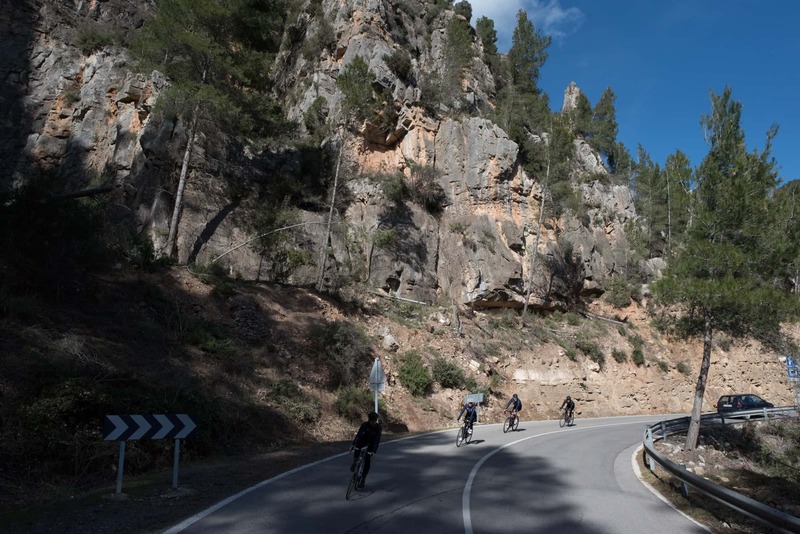 Moreover, once you get to the top of the mountain pass, you are rewarded with a 10 km downhill section where you can recover ready for the final leg. 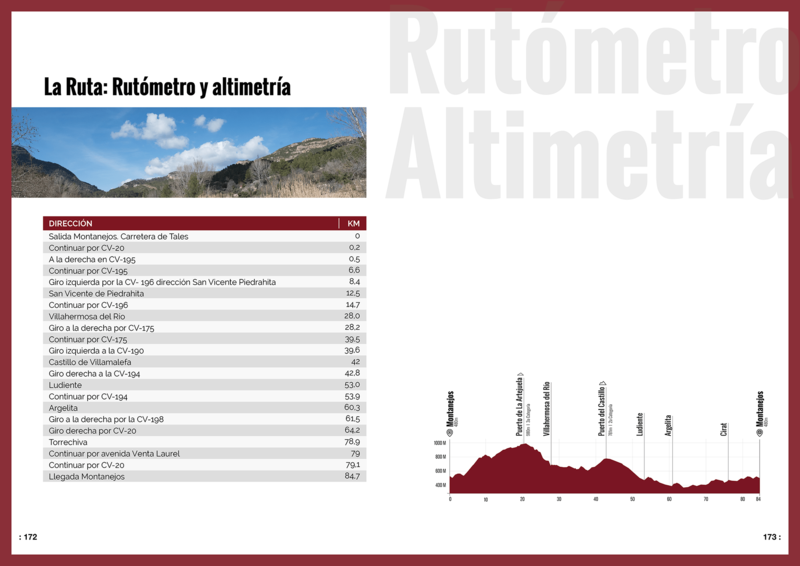 Right at this moment you will get to Ludiente, and from here the route becomes more irregular, with small uphill and downhill sections until getting to Montanejos again. 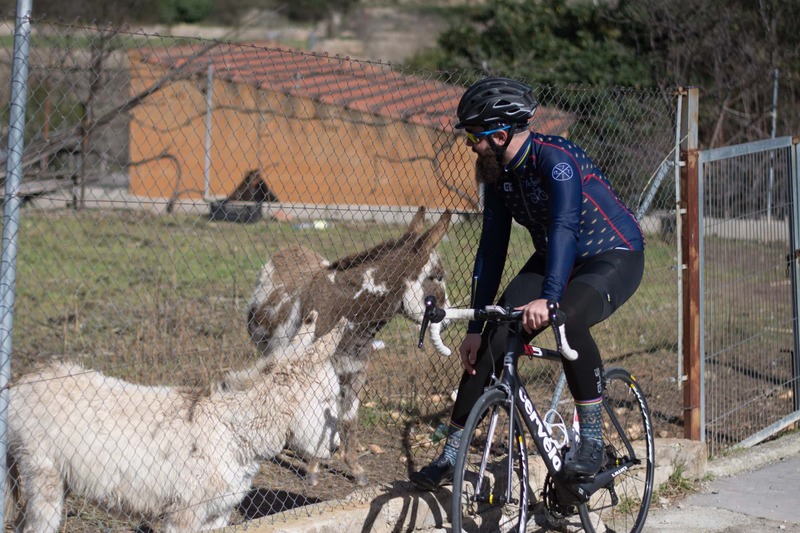 After passing through Argelita and Torrechiva along the CV20, you will face a small steep slope around El Tormo, and another one at Cirat, neither of which should tire you out too much. 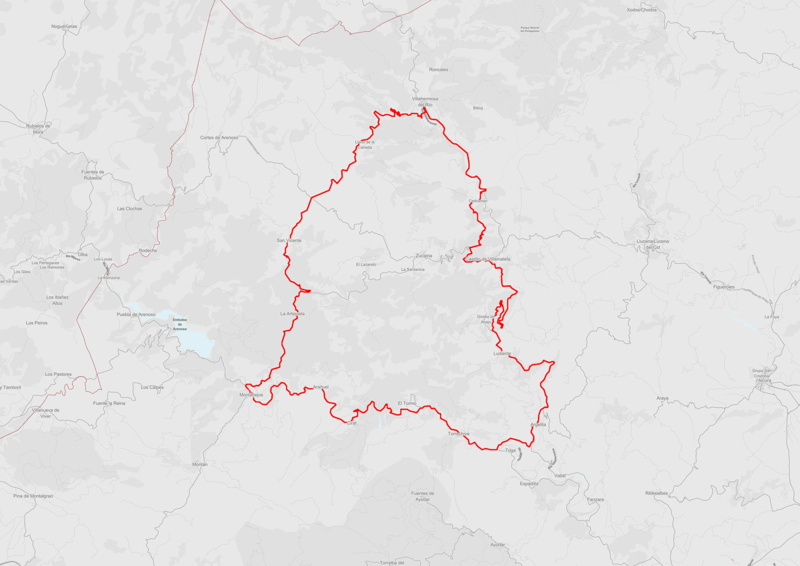 If you have managed to get to here, you are not going to have to put in too much effort in the last 5 km, and so you will be able to enjoy all the marvellous scenery that this municipality has to offer. 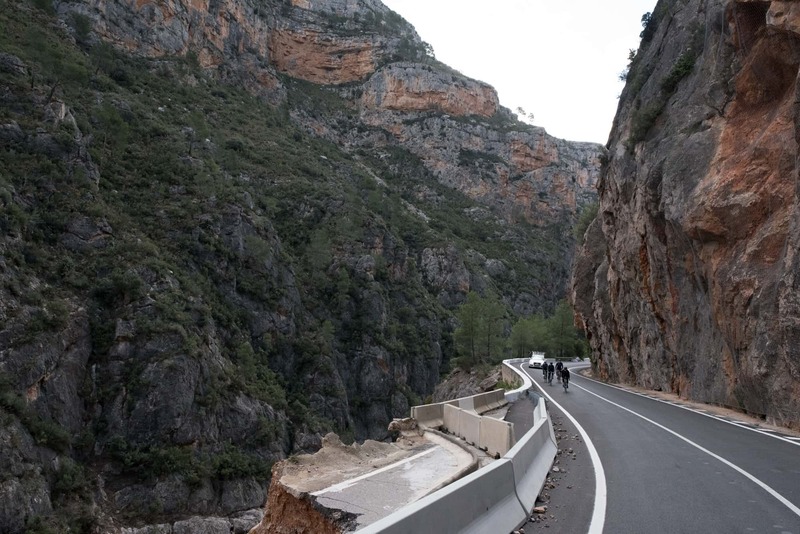 - Puerto de Artejuela mountain pass (Km 20): a mountain pass situated 3 Km from Montanejos with a road in good conditions which presents us with difficult inclines with a gradient of up to 12%. - La Natividad de Nuestra Señora church - Villahermosa del Río (Km 27.9): listed as being a point of local relevance, this church is town in the middle of the town. Inside the church there is a small parish museum which has a collection of artistic objects from different time periods. - Castillo de Villamalefa: a small municipality with just 100 inhabitants located next to Peñagolosa, making this an irregular, mountainous area surrounded by forests. It does not have a great cultural heritage and even the castle is now in ruins. - Ludiente Castle (Km 53): a castle from the Islamic medieval period, located in the urban centre. - Santa Ana-Argelita parish church (Km 60.3): located in the centre of the plaza de la Iglesia, this is listed as a point of local relevance. It was built in a baroque style. It is also home to a relic of the True Cross. - San Miguel parish church - Arañuel (Km 79): located in the Plaza Mayor of the town, which only has just over 100 inhabitants. It is characterised by its neoclassical style with features from the Corinthian order. - Restaurante Los Luises (Calle San Antonio, 14): a typical restaurant where you can try the town's traditional dishes. - Restaurante Pizzería Mijares (Plaza España): a bar in the centre of the town whose homemade dishes are real crowd-pleasers. - Restaurante Pizzeria el Refugio (Avenida Fuente de Baños 39): a excellent restaurant on the outskirts of Montajenos which has a very wide menu. 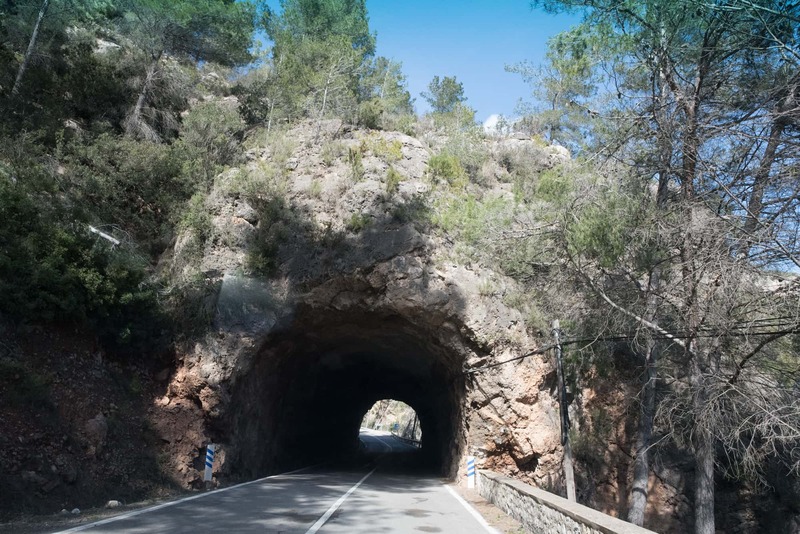 - Hotel Rosaleda del Mijares (Carretera de Tales, 28): this is more expensive than the average hotel, but it does have a spa which offers various treatments. - Hostal Casa Ovidio (Avenida Elvira Peiró, 41): simple accommodation for a more affordable price. It also has a restaurant. - Hotel La Valenciana (Calle San Jaime, 20): a more basic hotel but with perfect facilities.